Memorial Day is a day many of us put salads out for our guests. This is where you’ll find classic recipes for salads, like cole slaw and potato salad, as well as recipes that will bring something new to your Memorial Day table. 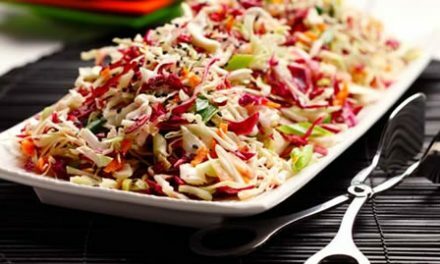 All of these diabetic-friendly salad recipes include nutritional information to make Memorial Day diabetic meal planning easier for you and your guests. Recipe for Carrot-Raisin Salad from our Salads recipe section. 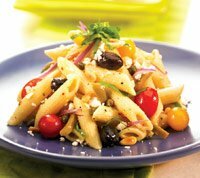 A cool delicious summertime treat that is sure to be a welcomed side dish at any family barbeque or block party. 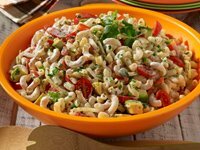 A great traditional pasta salad perfect for summer grilling! Keep the salad cold by placing the salad bowl inside a larger bowl filled with ice. 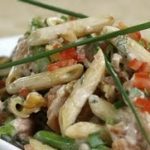 Recipe for Elbow Macaroni Salad (Insalata di Gomiti di Pasta) from our Side Dishes recipe section. Cooked smoked salmon or smoked turkey breast may be substituted for cooked salmon. 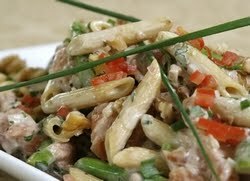 Recipe for Salmon Pasta Salad with Mint and Lemon Vinaigrette from our Main Courses recipe section. 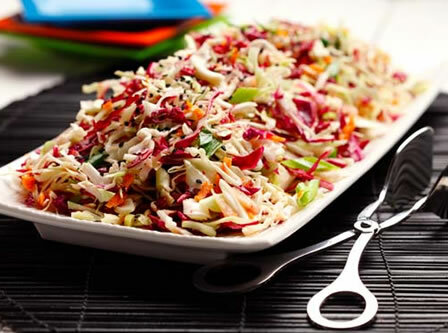 Recipe for Fiesta Slaw from our Side Dishes recipe section.